Now is the time in the summer when you are overloaded with tomatoes from the garden, and it is also the best time to can your tomatoes so that you have fresh organic tomatoes all winter for soups, stews, marinaras, and salsas. I like to can as many tomatoes as possible so that I can limit the amount of canned tomatoes I have to purchase during the year. 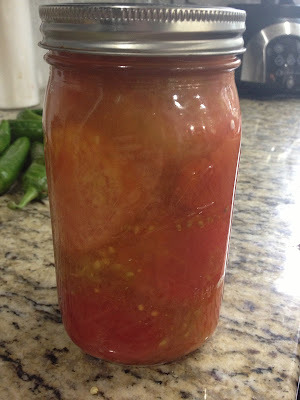 Canning your tomatoes in glass jars and using tomatoes at their peak ripeness will result in the best tasting tomato products you'll ever eat. 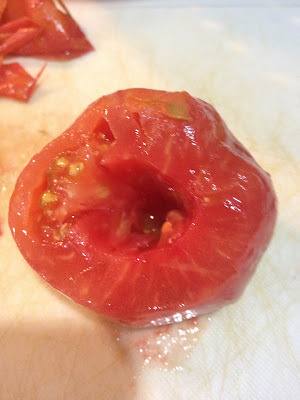 You can use any variety of tomatoes, these are a "big boy" variety, but I can romas, heirlooms, grape or cherry tomatoes just as easily, you just need to remove the skins. 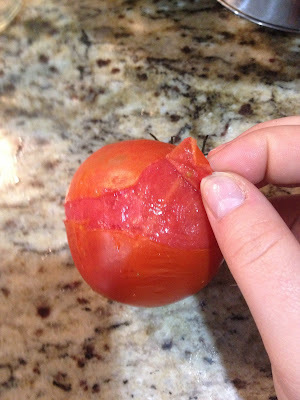 Packing tomatoes raw with no added liquid produces the most concentrated flavor. However, this method requires extended processing times to ensure the heat fully penetrates to the center of the jars. 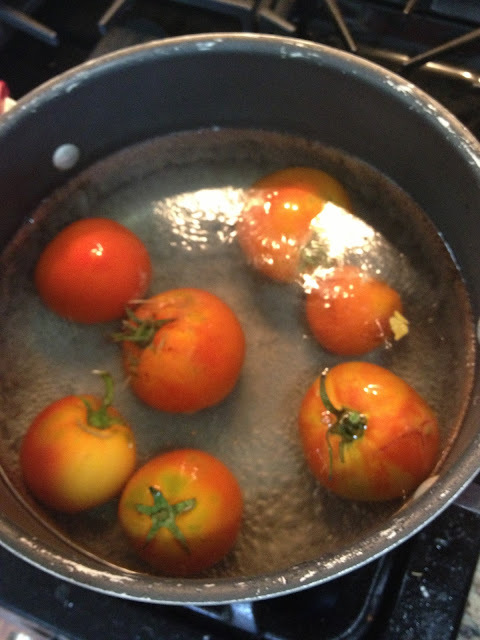 Wash tomatoes. Dip in boiling water 30 to 60 seconds or until skins start to loosen and crack. Immediately dip in cold water. Remove cores and any bruised or discolored portions. Leave whole, halve or quarter. 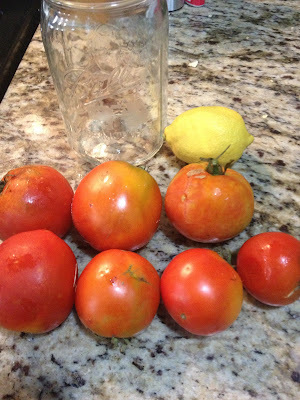 Add lemon juice to each hot quart jar. 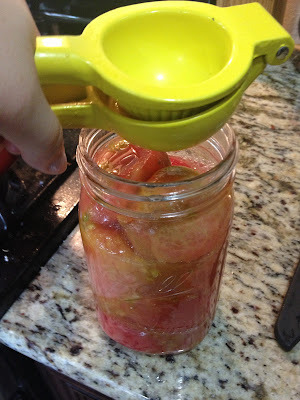 Pack raw tomatoes into hot jars leaving 1/2 inch headspace. Press tomatoes into the jar until the spaces between them fill with juice leaving 1/2 inch headspace. Add 1 teaspoon salt to each quart jar, 1/2 teaspoon to each pint jar, if desired. Remove air bubbles and adjust headspace, if necessary, by adding tomatoes. Wipe rim. Center hot lid on jar. Apply band and adjust until fit is fingertip tight. Process filled jars in a boiling water canner for 85 minutes for both pints and quarts, adjusting for altitude. Remove jars and cool. Check lids for seal after 24 hours. Lid should not flex up and down when center is pressed. If they do flex on the lid, place jars in fridge and use up within a month.